Are you searching for fake Christmas tree ideas? You are in the right place! 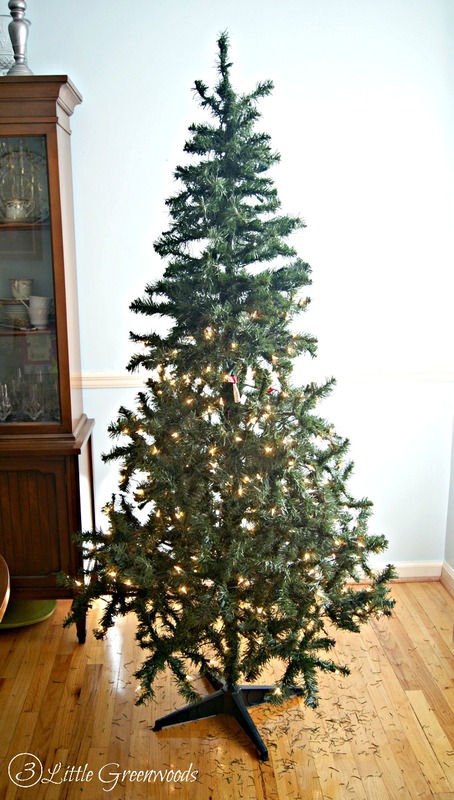 Today I am sharing my trick for updating a Fake Christmas Tree for Less Than $10. 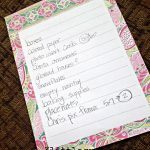 It’s as simple as making a trip to your local discount store for a few supplies. Once there was a poor twenty-something that wanted to decorate for Christmas. So she went to the local discount store to buy a few decorations and a faux Christmas tree. At the time, it didn’t matter how bare the artificial tree branches were or how few lights there were on the twinkling. This fake Christmas tree has made it through many Christmases and several moves. The box is worn and tattered. It is definitely in need of a Christmas miracle. Here’s what it looks like straight out of the box. Three squished up pieces of fake tree plus the plastic tree stand. Take a second to admire all this fake Christmas tree loveliness after I quickly popped the three sections together. Notice how only the bottom half lights are working? Isn’t that fantastic? After 20 minutes of fluffing each branch, the Christmas tree looks a little better but you can still see right through it. There are gaps between all of the spindly branches. This artificial Christmas tree looks every bit of $39. This post may contain affiliate links marked with an asterisk. Click here to see my complete disclosure policy. A brand new, pre-lit fake holiday tree would cost me almost $100. That money would have to come out of our Christmas budget. Although I would love to have a fancy, pre-lit tree for our dining room, I’m not willing to part with that cash right now. So off to the local discount store I went. 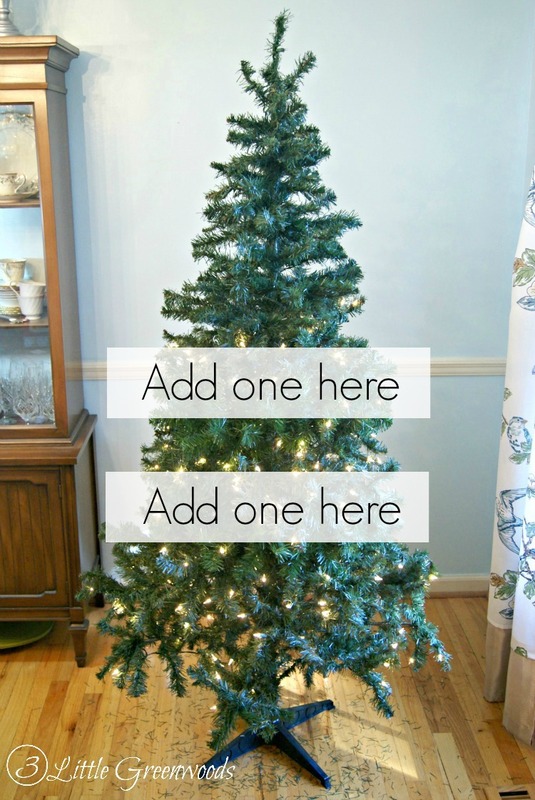 I was on a mission to find a quick and easy solution to make the artificial tree look fabulous without spending more than $10. At first I was tempted to grab a Christmas garland. But the thought of winding the garland in and out of branches sounded like a lot of trouble. Not to mention I would knock even more “needles”onto the floor . So I threw two 24” Christmas wreaths into my buggy. At less than $4 a piece there wasn’t much to lose. Here’s a similar wreath – 24″ Canadian Pine Artificial Christmas Wreath – Unlit . 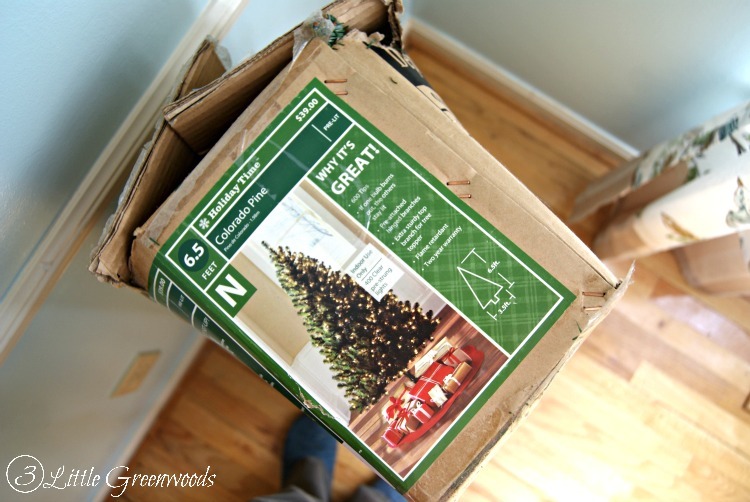 Step One – Remove the Christmas tree from the box and fluff the artificial branches as much as possible. Really take your time to fluff and twist each branch in all directions. You will need all the fluffed up greenery that you can get! 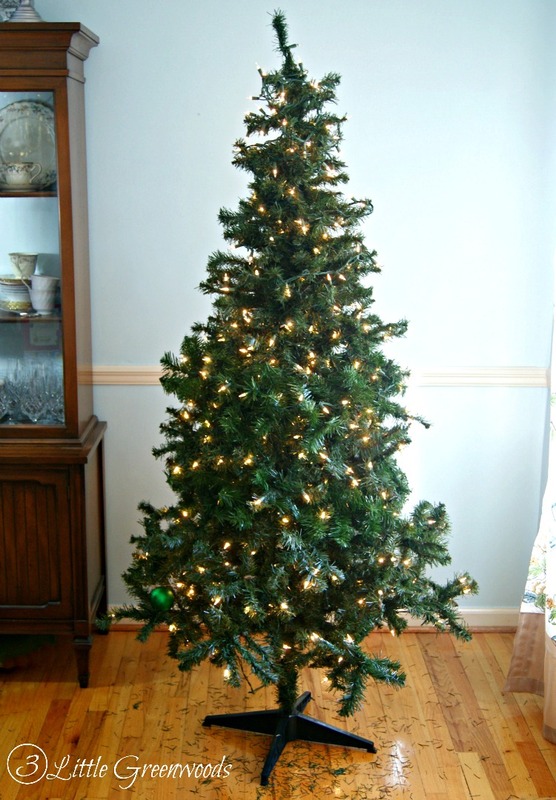 Step Two – Assemble the plastic stand and the bottom section of the fake Christmas tree. Step Three – Add the first Christmas wreath on top of the bottom layer of branches. Simply fluff the artificial wreath in all directions, making sure the branches twisted towards the outside and inside of the wreath. Once it was ready I placed it on top of the bottom layer of branches then snapped the middle section of the tree into place. Step Four – Add the middle section of fake Christmas tree branches then layer another wreath. The second wreath got a good fluffing but I focused the branches towards the inside of the wreath. This made the circumference of the wreath smaller so it would fit with the shape of the tree. Step Five – Add the top section of the faux Christmas tree. Pop the top part of the tree back on, do a little adjusting with branches, and sha-zam ~ fake Christmas tree fabulousness! The two wreaths completely filled in the gaps between the spindly artificial tree branches. I love how full the fake tree looks now and it only cost me $10 to update a fake Christmas tree! Chances are if you are updating your Christmas tree with this tutorial, you are probably going to need more lights. 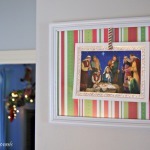 These Christmas lights are inexpensive and worked great for us! My little trick of adding wreaths to make the fake Christmas tree look fuller and fabulous totally worked! I saved our family over $150 by making that trip to the store and this artificial tree will make it one more year. So don’t buy a new artificial Christmas tree this year! 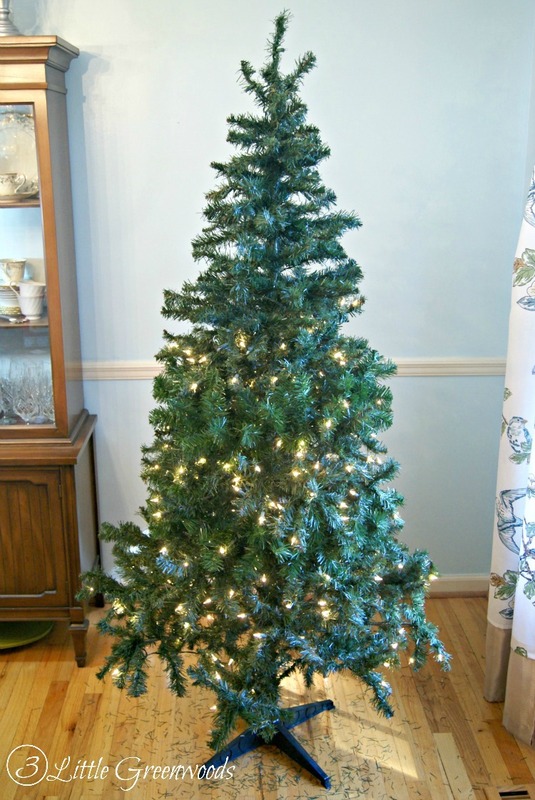 Simply do this trick for less than $10 to update your fake Christmas tree. It will look fuller and fabulous. I promise! Oh! One more thing you are going to need to make your fake Christmas tree fabulous: ScentSicles ornaments! ScentSicles are the only ornaments that smell exactly like a real tree. They can be hidden in trees, wreaths, garland, and holiday decor for a fresh-cut fragrance. Our family loves the White Fir ScentSicles. Not only are they great for the Christmas tree but I love to tuck them into the front door wreath too. Whenever we open the door to welcome guests, we get the wonderful smell of a fresh cut tree! Holiday decorating on a budget is one of my favorite things! 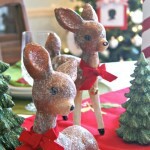 Love money saving holiday decor? 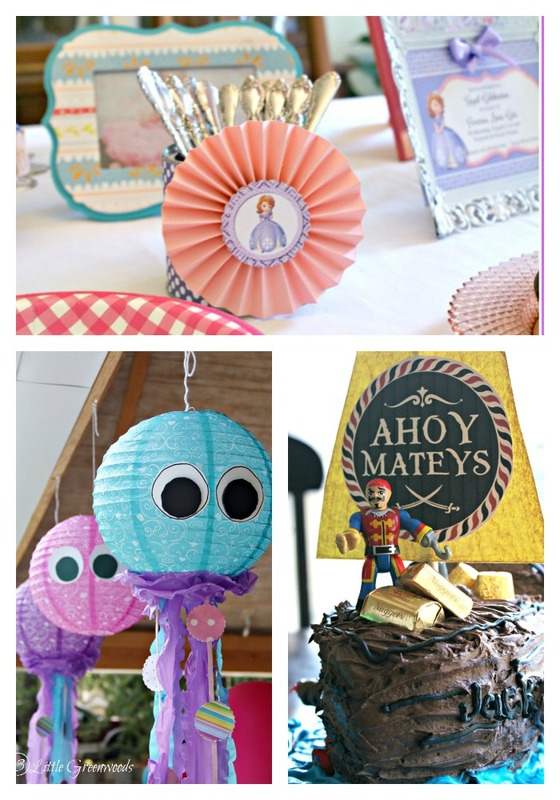 Check out these DIY projects! Snowflake Plate Charger ~ It’s a Dollar Store Project! Barnwood Christmas Tree Box ~ perfect farmhouse style! 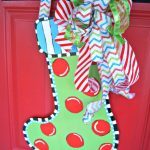 No-sew Pet Stockings – awesome gift for Pet Lovers! Do-It-Yourself Pet Silhouettes ~ awesome gift for Pet Lovers! Disney Inspired Ribbon Tassel Keychain ~ personalize it! Upcycled Painted Clutch with Fabric Flower ~ fancy enough for a night out on the town! What a fantastic idea. I can’t even see the wreaths in the tree, you did such a good job blending them in. I have a 9 1/2 foot tree that’s old and showing it, but I don’t want to get a new one. I think I’ll see if a few large wreaths might just make ours look as good as yours. Great job! LOVE LOVE LOVE this idea!! Thanks for sharing…we have a spindly Christmas tree that has seen better days…I was tempted to go out and buy a new one, but now I’m going to try your solution! Yay ~ I’m so excited that you are going to use my Christmas tree trick this year! I hope you fall in love with your fake tree all over again! To make my tree fuller,I have cut bits of tule,from 800 wide down to 200 the wider ones get stuffed into the bottom branches, and the smaller ones at the top,I just gather the tule from each centre it forms a cone shape,pop it into the branches and hey presto,I have a set of black,and a set of white, depending on what else will go on the tree. The white gives a nice snow look,and the black blends into the green of the tree. Then I decorate. That is an awesome idea! Thank you SO much for sharing, Celia! OMG! I would have NEVER thought to do that! So clever!!!! 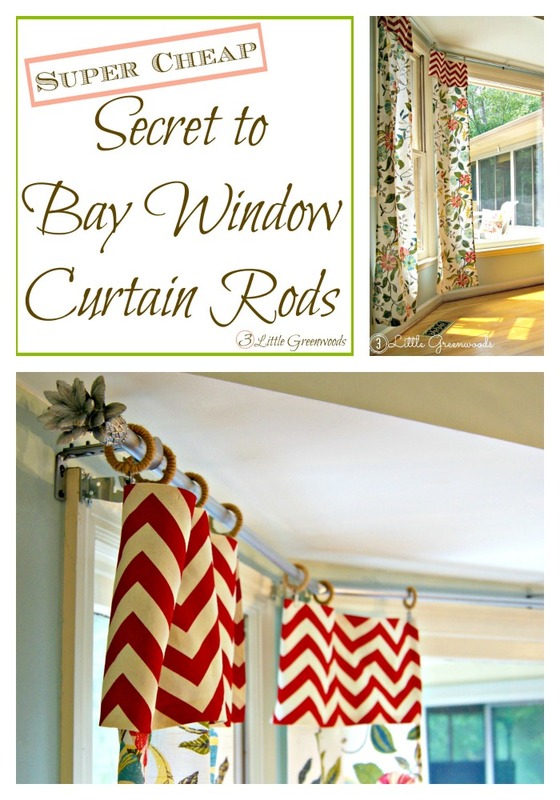 Thanks for linking up with us over at Your Home Decor and More! Thank you for sharing. I need to buy a christmas tree this year, but I’m on a budget. Now I can get a cheap tree and make it look full. I can’t wait. YAY! I’m so excited my tree trick is going to help you this Christmas! Thank you so much, Lynn! I hope you can use it this season! Hi! I love your idea. Do you have any good ideas as making the top branches stronger and fuller? Our will not hold any kind of a tree topper as it is to weak and puney!! I cant think of that else to do to it. I have tried putting a stick on the back side but there is no strength to home it until we get much further down the tree and then it looks bad. Help!! That is a great question! The way I solve that problem is to skip the tree topper and had a huge bow. It makes a big impact and looks awesome. Good luck! I saw some tree toppers at Target that actually clip on, instead of having to be placed over the top piece. I’ll bet you’d have a lot more success with those. Also, I have a very large 10 ft sturdy tree from Costco and the tree toppers don’t even work well on that one unless I bend the top branch over on itself to make it twice as thick. Here’s a link to some of the clip on tree toppers. Oh! I will have to check out those clip on tree toppers from Target. Thanks so much for visiting and leaving a comment! I have a $59 fake blue spruce that I’ve used for 15+ years. I spray painted a half inch dowel rod green & wire it to the middle & top of the tree. It holds any of my ornaments easily. The dowel stores right in the crappy box! Lol! That’s an awesome idea! Thanks so much for sharing! Paint a two foot long dowel with paint a similar green that the tree is. Use black electrical wire ties to attach the dowel to the tree’s center pole. Leave a measured portion sticking out at the top of the tree for the topper. Wire ties can be tightened an hold well. I use them to attach lights outside and in. It works with garlands as well. That is an awesome idea! Thank you SO much for sharing! A bunch of poinsettias cut off the main thick stem- the thinner stems stuck into the tree, a shimmery bow and some babys breath makes for an elegant lightweight tree topper. Best part is you can use all the elements for the coming year in the same way or use the for something else. I love the idea of baby’s breath as a tree topper! Thanks so much for sharing! I found a top hat tree topper at a Christmas open house. It’s made of card board & red felt. The band on it is green. It’s all hot glued together. You can’t tell. Looks like a real hat. It looks great on my fake tree. I wire a green dowel to the main center branch in the back with green floral wire. The dowel is the kind used by nurseries for plants and is usually small dyed bamboo. After your done decorating and have your tree topper on you don’t even notice it. That is such an awesome idea, Suzanne! Thank you so much for sharing! That is a great idea, Gail! I’m adding one big Santa hat to my after Christmas sales shopping! Take a wooden or plastic ruler, then wrap it with green garland and tie the ends down. Put it behind the top and wire it or tie it tightly to the top branch. It is now strong enough for an Angel tree topper! That is a fantastic idea! In the past few years I have given up on my beautiful angel because I could never make her stay straight. I thought about using garlands but I thought the wreaths would be easier ~ thank goodness it looks so good! I have an old old old tree passed down to me from my mom. Needles? What are those? It was basically the wire frame by the time I’d had it a few years. Being broke as church mice we weathered our greenless tree for the last time we could stand it. After Christmas when everything was dramatically reduced I bought wreaths and garlands and re-greened the tree. Pretty much the same process as this for the wreaths but the garlands I wrapped around the branches. The garland I’d gotten had wired greenery which worked well. This tree is so old it’s not the kind that folds in a bunch.. it has all the individual branches you stick into the slots on the main pole! We added mini twinkling lights working in circles. Now when we disassemble the tree we keep those branches together and leave the lights on. I priced what would be a comparable tree, ours is 8′ tall and the closest we could come way more money than I’ll ever spend on a tree when I have one I can re-green that holds so many memories.. all the way back to when I was a tot helping my mum decorate the tree. It’s been 6 years since I re-greened our tree and I noticed last year it has begun to bald. Time for another redo.. after Christmas of course. For now I’ll just fill those balding spots with poinsettias and big bows tucked into the becoming bare spots. WOW! Thanks so much for sharing about your Christmas tree! I just used your trick with the greenery on our Christmas tree. It looks fabulous! Thank you for such and awesome idea! Love it! Thanks so much for the awesome comment! I can’t wait to see you tree! Very clever, and it looks beautifu . I just may have to try this, this year. We haven’t drug ours out yet but I’m sure it will probably need a few wreaths to make it look presentable this year. Thanks for the great tip, i can’t wait to try this. Happy Holidays. Aww… thanks so much! I love that you are going to try my trick and thank you so much for leaving a comment on my blog. It means so much! I wanted a new “snow” covered tree. We just bought our first home so budget is a little tight and trees are soooo expensive so i decided to spray paint my tree lightly with white (saw it on a video) my next issue was the sparseness, my tree also has three parts and the plastic stand. I will definitely be doing this this year before I spray. You are a christmas life saver! Yay for you and your clever little trick producing large results! Plus saving money, avoiding a high cost replacement and improving instead of buying more merchandise are all sound consumer practices. FYI– I had the same problem with the middle light string on a tree I got as a post Xmas bargain the previous year (85% off was too good to resist) and gently went through the string starting with the unlit bulb and found one of the wires detached, so it was repaired and secured with electrical tape and my tree was as good as new. I am wondering if I need to match the wreath to the branch pattern on the tree or if it not an important detail? Amazing!!!! I have a similar tree that looks a little Charlie Brownish…. Thanks for the ideas!! YAY! Thanks so much for the sweet comment, friend! What a great idea! I sure wish I’d known about this before I went and bought a new tree last year! The good thing was I got in 75% off after Christmas so it didn’t hurt my wallet to bad! WOW! 75% off is an awesome deal! YAY! I love a good belly laugh! Garland is a great idea, Heather! I think I’ll put them on my after Christmas sale list! Thanks so much for visiting and leaving a comment! What an absolutely brilliant idea!! Thanks! Thank you so much, Michele! I’m loving my cheap little Christmas tree now! Great solution! About the only thing I like better than cheap, is free. Your solution is the next best thing to free. It’s inexpensive and totally works. I’ll be adding your blog to my blog roll and I’ll be sure to give you a shout out in the coming week. Cheers! Free is even better! Thanks so much for visiting and leaving a comment! Where did you get those silhouettes that are on your tree? I love them! Thanks for the great idea to fill in my sad little tree!! I love-love-love my children’s silhouettes! They were done by a Southern artist named Clay Rice. He comes to our small town each fall and spring to do them. My niece’s girl scout troop made silhouettes much like these last year. I was lucky enough to be there when they did it. Have your children stand to the side in front of you .. against a plain white wall. Take a picture. Save that to your PC and enlarge when you print. You only want black ink for the printing. Using a felt marker and a sharpie fill in the image of your child. Wonderful idea, Zoe! The silhouettes would make awesome Christmas presents to my preschool parents too! YAY! I’m so happy you’ve been inspired. Thanks so much for visiting and leaving a comment! Thanks for this idea. I lost my job this October and was thinking of using my 20 year old artificial tree to save money. The wreaths seem like a great idea! Can’t wait to try it!! Thank you!! I’m so glad my idea helped you. Thanks so much for visiting and leaving a comment! I use Christmas greenery picks to stick in between the branches on my tree. You can use shorter ones for the top part and longer ones for the bottom area. Just slide them in between the branches any where there is an open space, You can usually get them at the craft stores when they’re on sale for 50% off. Greenery picks are a great idea, Mary! I think I’ll put them on my after Christmas sale list! Thanks so much for visiting and leaving a comment! Hmm…. that is an awesome question. I bet there’s some white wreaths somewhere you can buy that would work with your white tree. By the way I’d love to have a white tree somewhere in our home. Best of luck! I am a photographer and I am starting my holiday portraits I bought those twenty dollar cheap trees at the certain stores and yes its spindley but now i am going to try your suggestion it should help … so that they look good for the pictures thank you so much. This is a wonderful trick for making trees look fuller in photographs! I hope you take some fabulous Christmas pictures this year! This is a great fix. And when you do finally decide to get a new tree, don’t throw away the pieces. You can use the branches on top of bookshelves, refrigerators, under tables, etc. throw some lights in the bunch and viola. Instant glam. The top can be a mini Christmas tree somewhere else in the house. Now those are awesome ideas! 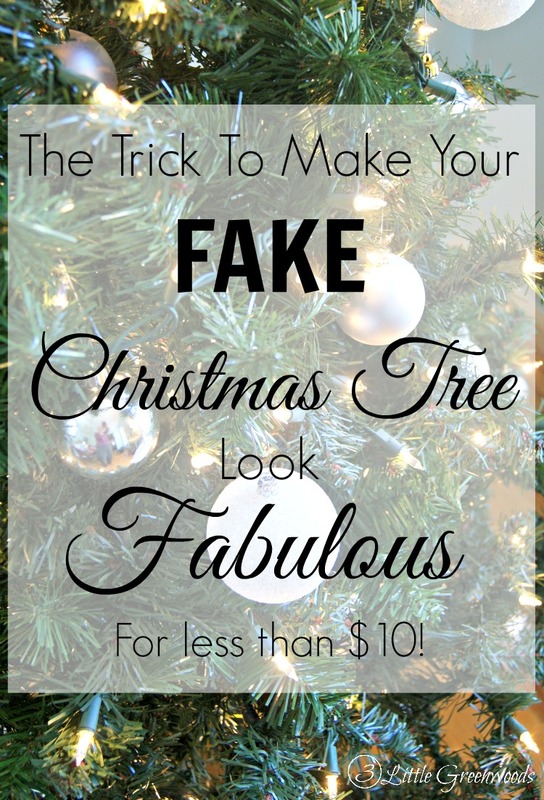 Heck, I might even buy a fake tree from Goodwill the next time I see one just do do these tricks! Thank you SO much, Iris! Those two wreaths made a great impact on my cheapy little Christmas tree! Where do you find those wreathes for $3.99? I thought that’s what I used to pay for them several years back, but today, looking everywhere online, they’re over $10 each. YIKES! Hey Linda! Great question! I bought my two cheapy wreaths at Walmart. They were less than $4 each and work so awesome tucked into my Christmas tree! *Long ago, I thickened my parents’ tree with green basket wrap. Cut a piece, wad it up and stuff it into the gaps next to the trunk. Having the tree in front of a window to show the holes in daylight really helps. *Fluff those branches so tips go out and up beginning from the bottom of the tree. *Weave your lights(we couldn’t afford the pre-lit trees even on sale) so the lights go all the way into the trunk and back out and around. * I noticed this year some one was using two sizes of lights in the same colors to create more depth when the tree was lit. * Ribbon garland placed after the lights are on can fill the tree and distract your eyes. 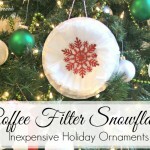 *Floral picks fluffed and scattered around the tree can fill holes. Oh my gosh, what a great idea! Why didn’t I think of that? I am totally doing this to my tree tomorrow! Thanks. And your tree looks beautiful btw. Merry Christmas. Thanks so much, Kim! My fakey-fake $40 tree looks awesome with those wreaths inside. Thank you so much for your sweet words about my Christmas tree! I just love your amazing and wonderful ideas. I love crafting and teach kids grades 1 – 6 in our church. Always looking for ideas to make it fun for them. God bless you and keep creating. Thank you so much! I appreciate you taking the time to leave me a sweet comment. Merry Christmas! What a great idea! Our tree is about 11 years old now – I don’t have a fullness problem just the prelit lights quit working a couple of years ago – we don’t use that part anymore and just string our own lights – the old school way. It works. So smart! You did a super job! I’m all about making Christmas decorations look fabulous on a dime. Thanks for the inspiration! Ashley! 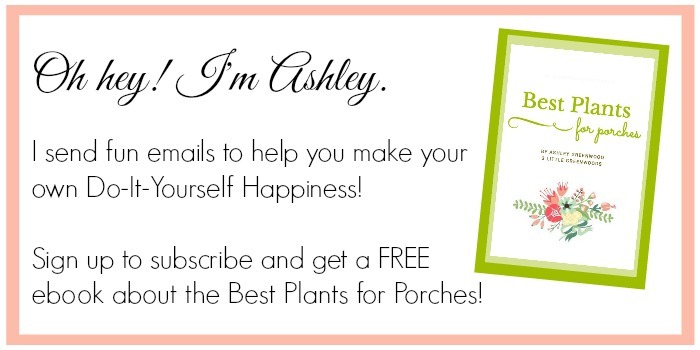 Love the name of your blog ~ Square Pennies! Thank you so much for the sweet compliments about my Christmas dining room. It was so much fun to decorate this season! Love your blog name. My husband’s family came from England and settled in Dartmouth, Ma. Love your ideas. Thanks so much, Donna! I’m so excited you have been inspired! I have the exact tree shown in your example and love this idea…I was just wondering about one thing though. Did you add any light strands to the wreaths? If so, how did you go about it? Great question, Dawn! I did not add light to the wreaths themselves but I did add more light to my cheapo Christmas tree. Just on the top part where the pre-lit lights were not working. We have that same tree. Our top lights are out too. As of last year Walmart still carried it. Ours is over ten years old. I do not take it apart each year. I undecorate it, then cover it with two large trash bags and store it in my basement. Minimal fluffing required each year ! That being said I’m going to pick up a couple of wreaths this week. Brilliant idea. Thank you. Now that is an awesome idea! I love that you cover it with trash bags and store it that way. Wishing we had a basement! Thanks for the help, I just decided to put my tree up today and your idea definitely came in handy. YAY! I’m so excited my Christmas Tree trick helped you fluff out your tree. Thank you SO much for leaving me a comment! I’m so excited that you can use my Christmas tree trick idea. It made our sad little tree look SO much better! Merry Christmas! You did a great job – looks amazing! Thanks so much, Jan! I hate to hear that you bought a fancy tree and it still needs lots of extra love. That just stinks! Wishing you and yours a Merry Christmas! Oh you are my life saver! My fake tree sits in my dining room with the bottom part on with the lights working & not working in the middle & the top still the way it came from the box with the lights working. Last year I tried the garland to fill in the bare spots but it really didn’t work so well. I’m excited to try the wreaths as you have shown & the great news is that I have many stored away & for lighting, I have that also! So I can fix my wimpy tree for absolutely nothing but my time! I’m so excited! I think I will go now & do the tree so it will be done in the morning when everyone wakes up! Thank you tons & tons! Merry Christmas to all! Need greens to use any place around the house… head to your nearest thrift store and buy a used Christmas tree. For about $10 you can have all that you need by using the branch’s for almost any tree or decoration that you want. Great way to fill up the top of your cabinets or hutch. Run some lights through them and you are all set. That is the BEST idea ever! I’m so excited that you can use my Christmas tree trick idea. It made our sad little tree look SO much better! Merry Christmas! Thank you so much for the great idea! I bought this exact tree on clearance 2 years ago and thought, “Well, that doesn’t look like the picture!” No with know I can make my tree fabulous! Thank you so much! Merry Christmas, and Happy New Year!!! ???? Good for you for catching that tree on clearance! 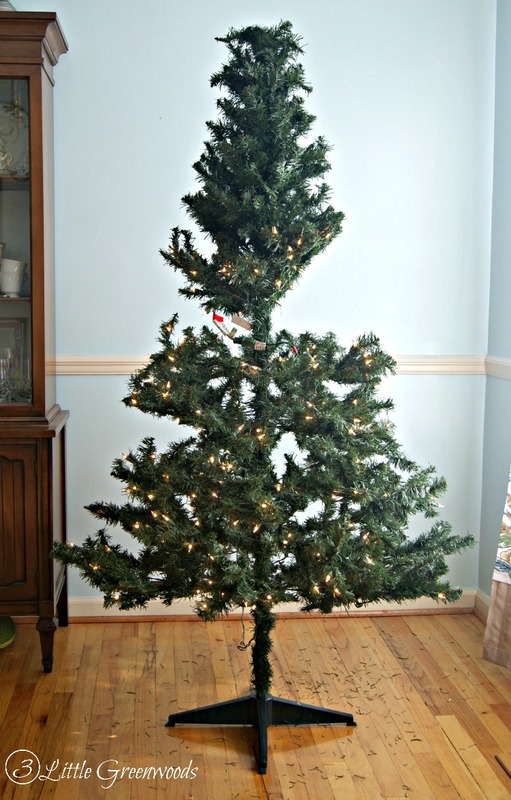 I’m so excited that you can use my Christmas tree trick idea. It made our sad little tree look SO much better! Merry Christmas! Thanks for sharing this great idea! Pre-light trees are that great. I got rid of mine after many years have having sections of lights out. I also like colored lights and ended up getting more lights for the tree any way. I will have to try this next year! Icicle lights?! That is a brilliant idea! What a great idea. My question is i have a small tree i think 3 feet tall maybe bigger so wondering what size wreath to bu yo make it look fuller. It was fully decorated and bought it as donation to Hospital. These tress were decorated by different departments in the Hospital. Some were 8 feet tall. Love my little for an extra one on my kitchen bar. So need some help and ideas. Thanks for your time. Hey Martha! 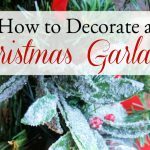 I would head to Walmart or Target to search for the smallest wreath I could find then see what works for your small tree. 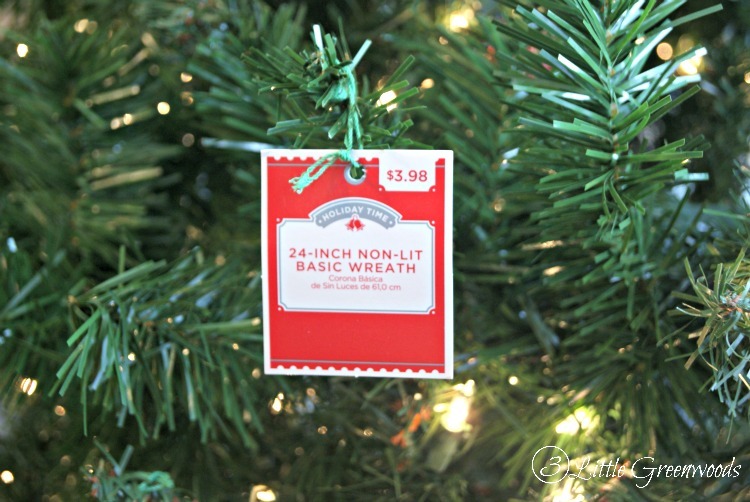 Or you could simply add a few greenery picks from the craft store to your little tree. Please let me know how it works for you! I am pricing new trees for this year and they are so expensive! I either buy a new tree and have a slimmer Christmas or I try to make due with the old, naked tree I’ve used the last few years. I am definitely going to try the wreaths on my 7′ tree that I can see straight through. (It’s not so bad with the lights on and the room dark, but it’s pretty ugly otherwise.) I am excited about Christmas…. and it’s only October! YAY! Your comment has made my day, AJ! I’d love for your to pin this idea to your favorite Christmas Pinterest board! Thanks so much, Jonna! I would love for you to pin this Christmas Tree project for your favorite Christmas Decorating board! As usual, money’s tight this year, and I have practically the same three part fake tree. If all I need to jazz it up is a couple of wreaths and extra lights, you just saved me a ton of money, thanks!! Yay! So happy to hear that my Christmas tree trick idea is going to help you! Thanks Ashley for the BEST Christmas tree idea ever!!! It works beautifully! I have used this idea for 2 yrs now, and will again this year!! Love your site!! Great ideas!! Thank you SO much, Gisele! YAY! I’m so excited my little wreath trick helped you! I googled “how to make and old tree look new” and up pooped this blog post WITH OUR EXACT TREE! I was laughing so hard about your description, because that’s exactly our experience every Christmas! I always sigh and swear we’ll get a new one “next year”, yet here we are with the same, sad tree. I’m excited to put these tips to use tomorrow! Thank you! 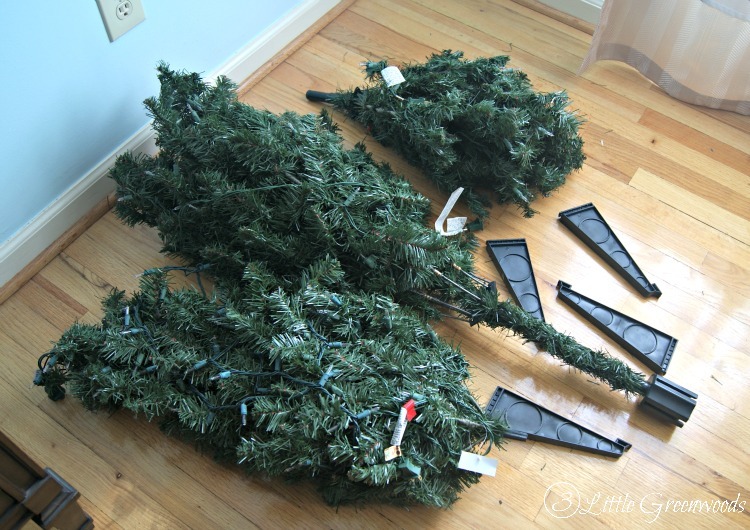 I bought a 6″ tree from Offer Up today that was much skimpier than it looked on the box. I can’t complain too much because it was only $5, but still, had I seen it set up, I would’ve paid more for a fuller tree. I thought about running out and buying pine garland tomorrow, but I remembered seeing 4 plain wreaths in the shed today that my uncle left behind when he moved. I thought maybe I could somehow cut and use those. Then, I thought – let me check net for ideas first. Yours was the first article that popped up, so it seems like confirmation. lol Your tree looks lovely. My tree is only 2 parts, so for sure I’ll have to cut all but one wreath. I hope it turns out as nice as yours! And can’t wait to try the scentsicles. I miss thw pine scent! Hey Janet! Thank you so much for the awesome comment! Isn’t it great to be able to solve a problem with the items you already have on hand?! I still occasionally use my 50 year old artificial tree. Back in the day it was a great tree, but has slowly gotten a little worn looking. I love tinsel on my trees. My daughter hates it. It helps fill in the thinner areas. Getting a wrreath is a great idea I just might try. My granddaughter wants my old tree whenever they get a larger house and it will live on for many more years. (I hope). Hey Janice! So happy that my wreath trick idea can help to fill out your Christmas tree. Wishing you a holiday filled with love and family!